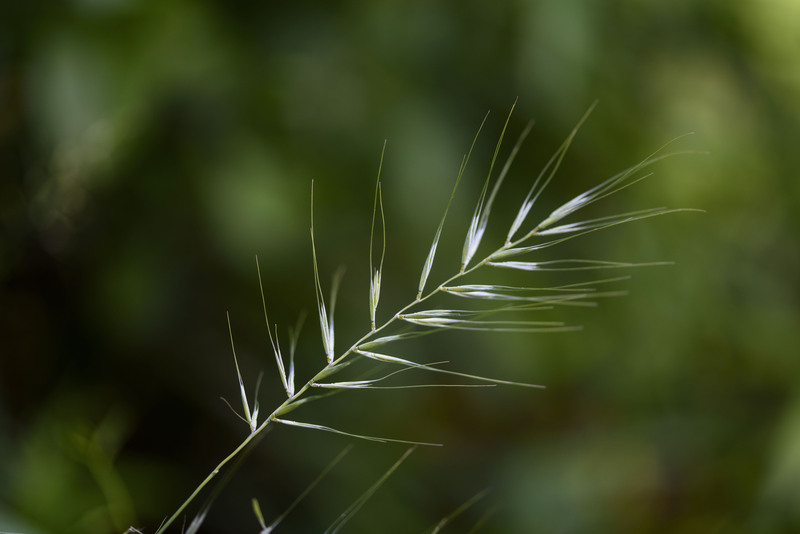 Grasses are flowering plants, after all, so why not consider them wildflowers? 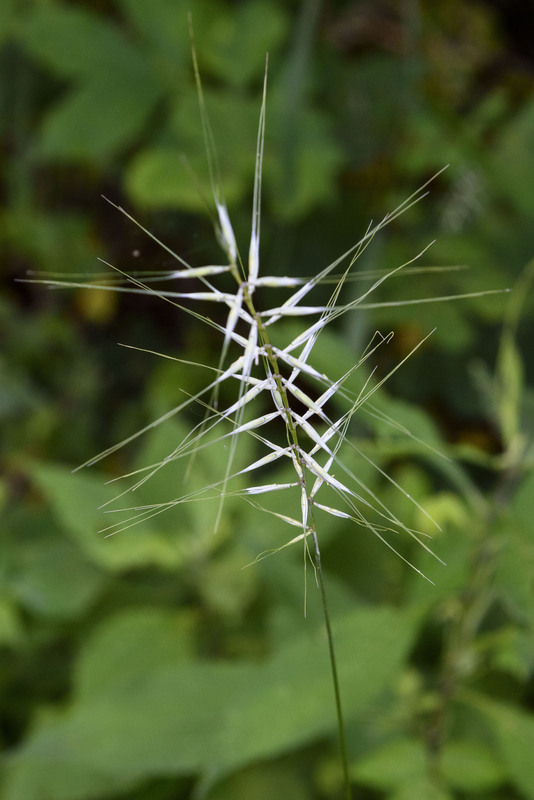 This is the inflorescence of Elymus hystrix, which translates roughly to “covered porcupine”. The common name is eastern bottlebrush grass. It ranges from the eastern Great Plains and northern parts of the South through the Midwest, Mid-Atlantic, New England, and into Canada. Look for it in woodlands and woodland edges: unlike many grasses bottlebrush likes some shade. And with that, I’m off for two weeks, heading for a high latitude destination. If I find wildflowers I’ll post some pictures. Landscapes, too. In the meantime, here’s a shot of my beloved Potomac River near Glen Echo, taken a few days ago in the early morning. 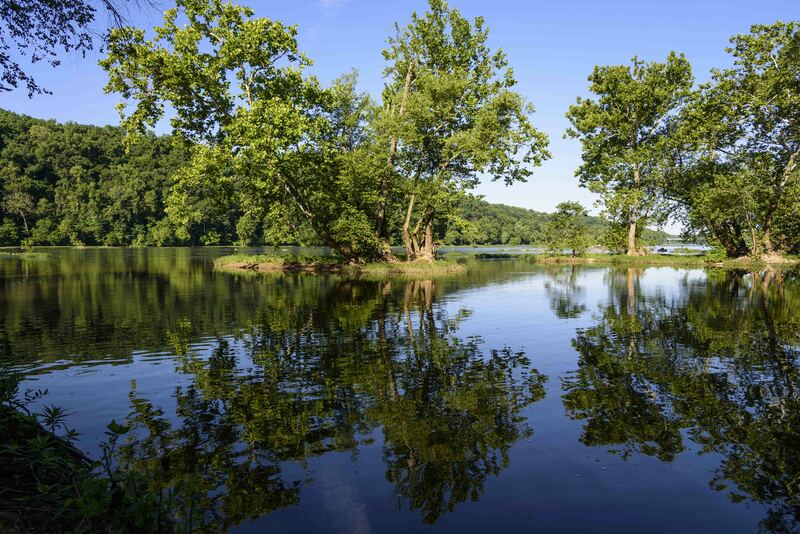 This entry was posted in Uncategorized and tagged Elymus, grasses, Poaceae, Potomac River by elizabeth. Bookmark the permalink.